Yes. 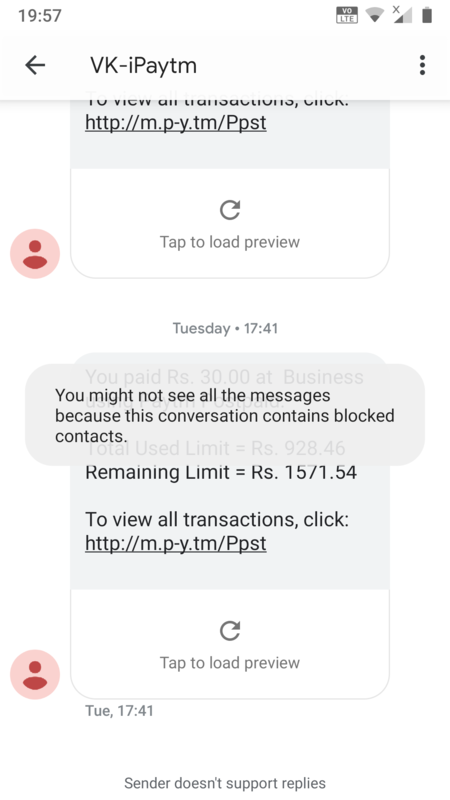 One more thing is it's auto blocking genuine msg sender's even if I haven't blocked them. I am not receiving any OTP (password reset or bank login in browser or any requirement otp). Also not receiving bank withdrawal messages nd payment app transaction messages. Refer the attached Paytm snap. I am also using Nokia 6. Just 2-3 days back I updated to Pie. Also Remove all the blocked msg contacts in msg app. I'm not getting any OTP messages after updating to Android pie. please help me.